On 25 June 2014, Minister for Industry, the Hon. Ian Macfarlane MP, outlined his vision for a more accessible and responsive national training system that gives businesses the skilled workers they need now, and into the future. Minister Macfarlane was the keynote speaker at the National Skills Summit, hosted by the Australian Council for Private Education and Training and the Australian Chamber of Commerce and Industry. In his address, Minister Macfarlane focussed on the need to improve training and employment outcomes for students, with a reform agenda aimed at creating a truly industry-led national vocational education and training (VET) system. Minister Macfarlane said he wanted to make sure reforms to VET considered the system as a whole, recognising the diverse and dynamic market in which training providers operate. He reiterated the need to build a strong and streamlined framework in which a quality system would support consumers to make informed choices. “If we get VET reform right we can make an enormous contribution to a better Australia – a more dynamic, more competitive and more productive Australia,” Minister Macfarlane said. The Minister also released the new draft provider and regulator standards for consultation. This addresses one of the three priority actions agreed by Australian, state and territory skills ministers at the COAG Industry and Skills Council meeting on 3 April 2014, to re-examine the draft training provider and regulator standards produced by the former office of the National Skills Standards Council (NSSC). The new draft standards take into account a range of stakeholder views including issues raised during the broader VET reform consultation process undertaken in early 2014 and “will support quality and provide clarity around marketing of training courses, subcontracting arrangements and compliance,” Mr Macfarlane said. The new draft training provider and regulator standards are available here and comments are welcome via email to vettaskforce@industry.gov.au by Wednesday 23 July 2014. Feedback on the new draft training provider and regulator standards can also be provided via a series of webinars planned in July. To find out how you can become involved, visit the events page of the VET reform website. Minister Macfarlane also released the independent review of the Australian Skills Quality Authority (ASQA) commissioned by the former ministerial council. “The process review makes a number of really useful findings for how improvements can be made to the way ASQA operates that are consistent with what we are hearing from the VET reform process…We are looking at ways to make these things happen. Ultimately you will see an approach to regulation that is much better targeted to the circumstances of individual RTOs,” Minister Macfarlane said. For more information, and to view the report, visit the publications and documents section of the VET reform website. The Minister also confirmed the national training regulator, the ASQA, will not raise its fees in 2014–15, easing the financial burden on registered training organisations over the coming year. The Minister noted that for the foreseeable future ASQA’s fees will not rise and indicated he would be reviewing the regulator’s operating funding to ensure it can support the reform agenda. From 1 July 2014, ASQA will remove the requirement for a financial viability assessment to be undertaken as part of the re-registration process for existing RTOs. A financial viability assessment will still be required for organisations seeking to be initially registered as an RTO, or in exceptional circumstances where serious financial viability concerns about an existing RTO have been raised. Assistant Minister for Education the Hon. Sussan Ley MP also spoke at the summit with a particular focus on VET in schools. To read a copy of the Minister for Industry’s speech, and the corresponding media release, visit the Minister for Industry’s media page. For more information about VET reform, please visit the VET reform website, email the VET Reform Taskforce at vettaskforce@industry.gov.au or call 13 38 73. The USI is coming… are you ready? On Thursday 19 June 2014, the Student Identifiers Bill 2014 successfully passed through the Australian Senate, The Unique Student Identifier (USI) scheme will commence on 1 January 2015. The USI team will be working hard over the coming months with training providers and key stakeholders, to assist with preparations for the implementation of the USI. For more information visit the Unique Student Identifier website or email the USI Taskforce. What can be learned from China’s approach to skills? Australia was represented at the 2nd APEC Youth Skills Camp in Beijing, China, in late May by Australian Apprenticeships Ambassadors Joel Schwarz and Jessica Taggart. Joel and Jessica were joined by fellow Australian Training Awards finalists Madeline Wells, Henry Kemp and Jacky Cheng. improve the attractiveness of vocational training to APEC youth and promote the development of APEC youth skills. The group participated in a mix of cultural activities (including visiting the Great Wall and a Shaolin temple), visits to vocational training schools and the China WorldSkills training facility and group activities. Jacky Cheng: “China’s rich cultural history creates and offers diversity in its current various vocations. Creative industries (visual arts, performance arts, arts and crafts, martial arts, music, tea making and kitchen operations such as intricate dough sculptures, food carving etc) are highly respected and valued, and maintain their importance in upholding the nation’s pride. Opportunities are offered to younger leaners to expand and continue to learn and practice China’s traditional skills, such as constructing handmade bronze vases etc. 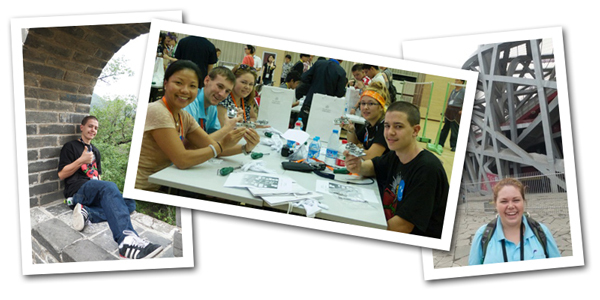 Images (L-R) Henry at the Great Wall of China; making model Mercedes-Benz Formula 1 cars in the team challenge (L-R Jacky, Joel, Madeline, Jessica and Henry); Madeline at the Beijing Olympic Stadium. After three challenging days of competition, WorldSkills Australia is pleased to announce the results of the 2014 WorldSkills Australia National Refrigeration Competition which was held in Melbourne in May. Congratulations to all of the competitors! Their remarkable skills saw them representing their regions against Australia’s best young refrigeration mechanics, a huge accomplishment in itself. WorldSkills Australia would also like to thank all of the judges and all of the sponsors and supporters, team leaders and volunteers who came together to make the National Refrigeration Competition such a great success. For his gold medal win, Beau was also awarded a trip to Europe to visit the Chillventa Refrigeration Expo in Nuremberg, Germany, courtesy of the LU-VE Group. Jordan received a state of the art Fluke multimetre for his silver medal and Mark was awarded a Fluke clamp metre for taking out the bronze. You can view and download images from the competition and the presentation ceremony at WorldSkills Australia’s Flickr site. 2014 WSA National Refrigeration Competition medallists (L-R) Jordan Wallworth, Beau Kurpis and Mark Young. Refugee Week celebrations in Darwin took place in June with Australian Apprenticeships Ambassador Jane Alia leading the party. Jane is also an ambassador for Refugee Week, which ran from 15 to 21 June and included World Refugee Day on 20 June. Refugee Week Ambassadors are individuals who are either from a refugee background or who have an interest in and understanding of refugee and migrant issues in Australia. 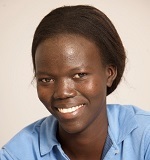 Jane arrived in Australia as a refugee when she was a teenager. “I believe my past has really shaped me to be the young person I am today,” Jane said. Jane became an Australian Apprenticeships Ambassador after winning the Northern Territory School-based Apprentice of the Year in 2012 and going on to be a finalist at the Australian Training Awards. The 20-year-old completed a Certificate III in Dental Assisting, a qualification she started in secondary school. To read the full story, visit the Australian Apprenticeships website. The Fulbright Professional Scholarship in Vocational Education and Training is awarded annually to an employee within the VET sector or training leaders in business or industry. It allows the recipient to spend three to four months in the United States of America undertaking research and study into current vocational education and training policy or practice. AUD$33 000 and must be commenced between 1 July 2015 and 30 June 2016. Preference will be given to those applicants with a record of achievement. Applications close on 1 August 2014. Information on the scholarship, eligibility and application process is on the Fulbright Commission’s website. The 2014 scholarship winner, Raymond Cadmore, will study at the Forsyth Community Technical College in North Carolina in the second half of 2014. His studies will focus on the drivers of new and emerging technologies in the US’ VET curriculum, with particular focus on the way industry, government and vocational educators engage with each other and with future training needs. Mr Cadmore was profiled in the April edition of this newsletter. The Australian American Fulbright Commission was established in 1949. It is the Australian arm of the Fulbright Program, which was established by US Senator J William Fulbright in 1946. Senator Fulbright believed that these scholarships could assist in building and maintaining world peace following World War II. The Fulbright Program has 325 000 alumni across the world. Alexandra Reeve is the latest Australian Apprenticeships Ambassador to share their insight in a column for the Australian Apprenticeships website. 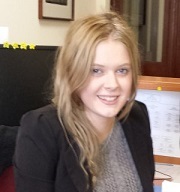 Alexandra, a 22-year-old trainee in the office for the Victorian Government Minister for Education, shares the process she undertook to start her traineeship. The road to Alexandra’s employment included difficulty deciding on a career path at secondary school and attempting several university courses before discovering her traineeship and her enjoyment of earning while learning. To read Alexandra’s post, visit the Australian Apprenticeships website. Vocational education and training (VET) practitioners will benefit from new advice about the use of HTML5 for structuring and presenting material on the internet. This year marks the first time that E-standards for Training has officially recommended the use of HTML5 for e-learning content developers. The recommendation to use HTML5 doctype and semantic elements comes with the proviso that fall-backs are put in place for the recommended browsers that lack support for those elements. HTML5 is a mark-up language for structuring and presenting content on the internet. The core aims of HTML5 are to provide support for the latest multimedia, while keeping the language readable by humans and consistently understood by computers and devices. The E-standards Expert Group advises that there is significant potential for HTML5 to facilitate development of e-learning content, and that HTML5 has advantages which include greater accessibility support on various platforms, and enabling content such as video and audio to be played in a browser without requiring additional proprietary software. The E-standards for Training HTML5 review: Q&A for Developers was developed by the New Generation Technologies business activity, on behalf of the National VET E-learning Strategy. The business activity researches potential technologies, standards and specifications in order to recommend and support implementation of those applicable to the VET sector. For more information please visit the E-standards website and follow on Twitter. The Australian Institute of Training and Development (AITD) National Training Excellence Awards recognise achievement in training, learning and development and organisational development. Nominations are now open for the 2014 National Training Excellence Awards. There are categories related to e-learning, innovation, blended learning, organisational effectiveness, learning resources and more. Information about the Awards categories, criteria and nomination process can be found on AITD’s website. Nominations must be received by Friday 25 July 2014. Editor's note: Please be aware that these awards are NOT the Australian Government's Australian Training Awards, which recognise excellence in nationally recognised training. Special offer for new members! Until 31 July 2014, the AITD will waive the $35 joining fee for new individual members. This means new members will only pay the $275 annual fee to be part of the leading association for training, learning and development professionals. Visit the AITD website for more information. Conditions apply. The Department of Education will be conducting training sessions for approved VET FEE-HELP providers throughout 2014. This training is suitable for recently approved providers, as well as existing providers that wish to refresh their knowledge. For more details and schedules of dates and venues please visit the department’s website. The Australian agrifood industry has huge opportunities in the future, but is Australia ready? What do we need to do to maximise our potential? These are the questions addressed by the 2014 environmental scan of the agrifood industry, Lucky by Design, which was launched on 23 June 2014 by Senator Richard Colbeck in Canberra. The annual scan is the flagship publication for the AgriFood Skills Australia Industry Skills Council. Utilising the skills of existing workers and lifting retention rates. AgriFood’s environmental scan is based on real-time industry views and evidence from across the country, aiming to give readers a clear understanding of the key factors shaping agrifood workforce development. The 2014 environmental scan can be downloaded from AgriFood's website. On 7 April 2014 the Construction & Property Services Industry Skills Council (CPSISC) officially launched the E-learning Web Portal at its Industry Leaders Forum. The aim of the Portal is to support the construction and property services industries to implement high quality e-learning solutions. It is a ‘one-stop-shop’ for all things e-learning and brings together the best from the myriad of information and expertise that is available throughout the web. Good e-practice - links, guidance and tools to help implement quality e-learning within training and assessment processes. This area of the portal will give you access to everything you need to know about e-learning and how it can be used. The E-Learning Web Portal can also be accessed from the CPSISC home page. Government Skills Australia (GSA) has launched a new website, the Australian Water Occupations Framework (AWOF). The AWOF defines 28 water occupations linked to vocational qualifications in the water industry and details their core functions, tasks, skills and knowledge. GSA is the national Industry Skills Council for the government and community safety sectors, representing the vocational education and training and workforce interests of the correctional services, local government, public safety, public sector and water industries. The AWOF is a high level guide for employers and the vocational education and training sector in the water industry. It provides a guide to qualifications contained within the national Water training package (NWP) that addresses skills for the occupation. The AWOF was developed from the need for national consensus on common roles, to list alternative titles and guide their need for training. The water industry aims to improve national workforce planning and national representation of the industry by adoption of the framework. Work on the AWOF commenced in January 2013, with high level consultation to determine functional groups based on occupations. The functional groups have guided the work with the assistance of technical reference groups. Highlights gaps for further development and improvement of the national water training package. For further information visit the AWOF or email Sue Peisley, Industry Liaison Officer at Government Skills Australia. The Community Services & Health Industry Skills Council (CS&HISC) has commissioned a report to research new roles and functions of allied health assistants, health service assistants, clinical coders, aged care workers, home and community care workers, disability workers and mental health workers. The report, New Roles in Community Services and Health Scoping Report, along with a summary document and recommendations, is now available on CS&HISC's website. The 2014 IBSA VET practitioners’ conference, held in Melbourne on 7 May 2014, examined how practitioners of the future can improve outcomes for learners. All presenters were experts in the areas they spoke on and represented VET teachers, academics, teacher educators, educational technologists and leaders in the sector. The conference provided insight into what is required of VET practitioners today and into the future. Even with the range of speakers, there were two key themes that emerged from all 12 presentations. The first was the need for practitioners to be aware of current and emerging technologies to maximise student outcomes and learning on the go (mobile learning). The second was the need for VET teachers with strong pedagogical / androgogical / heutagogical skills and knowledge or, more simply, strong teaching, learning and assessment skills and knowledge. The conference was a call for VET practitioners to be identified as teaching professionals; people who understand their learners, the learning context and the technologies that engage students and will promote anywhere / anytime learning. You can find more information on the conference on IBSA's website. Further to the development of the iNotice app (see Skills@Work, May 2014 edition) NSW Community Services and Health ITAB has now released a free professional development programme for use by aged care community work services. iNotice will assist to heighten awareness of a variety of signs and symptoms that may be linked to a person’s medication management. It will support existing aged care community workers to work effectively with a heightened awareness of safe medication management within their current scope of practice. It also provides their coordinators with additional knowledge and skills for information sharing with all of the client’s care team, such as nurses, GPs and pharmacists. The programme is now available on the NSW Community Services and Health ITAB's website or through the WorkPlace Skills virtual learning environment. The July issue of CS&HISCs monthly newsletter, cs&h matters, will be its 100th issue. To celebrate, CS&HISC is running a special promotion for its readers and Twitter followers. Details are now available on CS&HISC's website. AgriFood Skills Australia is currently reviewing the Pest and Weed Management qualifications framework and units of competency within the AHC10 Agriculture, Horticulture and Conservation and Land Management training package. This project has been initiated as a result of submissions to the Continuous Improvement Register indicating that the current qualifications framework is not consistent with job roles currently performed in industry. A project plan, including outcomes from the scoping phase and the validated job role statements, is available. Preliminary work on rewriting current units has begun, with consultation on draft materials including a review of the framework for pest and weed management qualifications to be conducted in the coming months. Project materials can be downloaded from the AgriFood website. Senior Deckhand and Skipper skill sets for the SFI11 Seafood Industry training package have been endorsed and published as an ISC upgrade on training.gov.au. As part of its workforce planning, the southern rock lobster industry has identified a need for its workforce to gain skills in all aspects of catching, handling, caring for and preparing for export rock lobsters. The skills required cover WHS, environmental stewardship, animal welfare and food safety. The Senior Deckhand and Skipper skill sets will assist the southern rock lobster industry to raise its international competitiveness through the majority of industry workers completing a certification program based on current units of competency. Completion of all Companion Guides and training and assessment materials. The proposed completion date is 30 June 2015. From time to time, RTOs enquire as to the appropriate use of imported units of competency under the packaging rules of AgriFood qualifications. A unit of competency is considered to be imported if it is originally included in one training package but is used in a qualification from another. Common examples include units covering skills and knowledge for first aid or retail operations. Because each ISC schedules the development and maintenance of its training packages separately, there are occasionally instances where RTOs are faced with having to deliver core units of competency that are listed as ‘superseded’ on training.gov.au. Where an imported unit listed in the packaging rules of an AgriFood qualification is marked as superseded on training.gov.au, RTOs will be required to continue delivery of the listed unit in order to meet the packaging rules. Imported units are routinely updated in AgriFood’s training packages following industry validation to ensure the relevant units are still suitable for use. Further information about AgriFood’s continuous improvement process, as well as the Standards for Training Packages, can be found on AgriFood's website. The first draft of the Ambulance Communication qualifications will be available for public consultation in August 2014. The first aid units (HLTAID units) are again being reviewed in response to feedback received by the Minister for Industry from a number of registered training organisations. Due to this review, the Australian Skills Quality Authority, the Victorian Registration and Qualifications Authority and the Training Accreditation Council (WA) have announced an extension to the transition period for superseded first aid units of competency. For information and updates on all CHC and HLT qualifications under review, visit CS&HISC's website. CPSISC has commenced the re-design of a number of qualifications within the existing CPC08 Construction, Plumbing and Services training package and the CPP07 Property Services training package to meet new national Standards for Training Packages. For further information on CPSISC’s approach to the training package re-design work, you are encouraged to visit the training package re-design website where you can register your contact details to be included on the CPSISC national stakeholder database to receive ongoing training package updates. Feedback was sought and consultation undertaken of the first draft in March and April 2014 via face to face national consultation, targeted meetings, the feedback register, emails and letters. This feedback is currently being incorporated into the proposed scope of the second draft. Scoping for the Sport and Outdoor Recreation components will commence in July 2014. The eighth member of the Sport SRG is yet to be confirmed. Outdoor Recreation – The SRG will be represented by the Outdoor Council of Australia and the main state peak bodies, plus additional industry positions to address knowledge gaps. The aim of the SRG will be to review the current structure of the qualifications and skill sets as a part of the scoping phase and provide links to subject /activities experts for the review of the units of competency. Currently there are a number of training packages up for review in the Wholesale, Retail and Personal Services (WRAPS) area. The second draft is currently been finalised prior to the drafts being open for a validation period. Validation will occur late July and into August 2014, with drafts available on SSA’s Online Feedback Register. Drafting continues for the first draft to the Standards for Training Packages and also includes updates to content to reflect current industry practices. Additional scoping activities are underway to further explore specialist retail functions. Drafting to the Standards for Training Packages has begun and with further scoping in specialist areas, in conjunction with consultations for the environmental scan. Feedback on the first draft has now closed and SSA is reviewing the feedback received. Nationally consistent feedback will be considered for inclusion in the second draft, due late this year. For further information please visit SSA's website. The workshops will discuss how the Standards for Training Packages have been applied in the development of RII and will provide practical strategies trainers and assessors can use to meet the assessment requirements. They will also present a series of case studies that demonstrate how strong partnerships between enterprises and training providers have led to improved workforce development outcomes. Workshops are being conducted in all state and territory capital cities, continuing into July 2014. Places are limited so book now to secure your seat. More information is available on the SkillsDMC Events page. If you have already registered for a session and find that one of the new dates is more suitable, please email Michelle Day to discuss transferring your registration. After struggling to link the practical with the theoretical in his university engineering studies, Tom Spottswood decided to enrol in an Australian Apprenticeship in engineering (mechanical trade) instead. Seven years after completion, he is enjoying a successful and varied career. 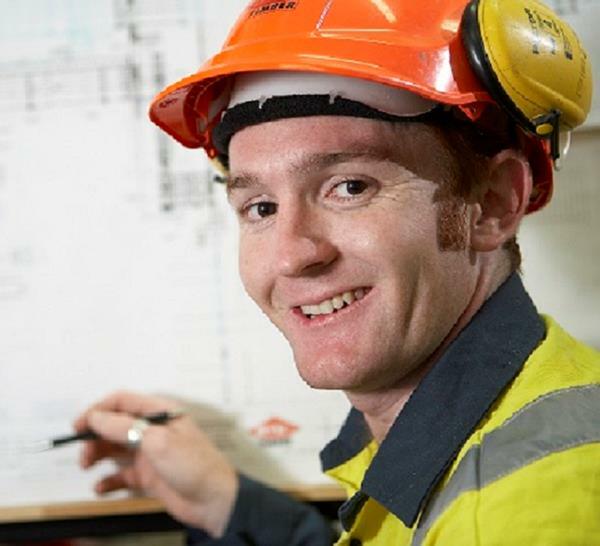 Read more about Tom’s Australian Apprenticeships journey, including his win at the 2007 Australian Training Awards and his experiences working overseas. … for guys AND for girls! After initially turning down an Australian Apprenticeship in the electrical trade due to a lack of self-belief and not knowing any females in the field, Emma Stevenson has gone on to complete two qualifications and to win a number of awards through her training institute and her employers. 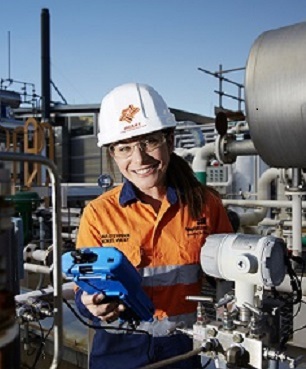 Read more about Emma’s workplace and educational successes, including her appointment as the first female Australian Apprentice at BHP Billiton Nickel West's Leinster mine site. Velg Training offers a professional development (PD) programme using webinars to keep both members and non-members up to date on key developments in the VET sector. Sessions now live for registration are listed on Velg’s website, targeting VET practitioners working within RTOs and Queensland schools. Velg Training members, including all Corporate, Sibling and Individual accounts, receive discounts on Velg’s PD opportunities, with access to complimentary webinars via the exclusive Members’ Lounge online portal. The Department of Social Services has funded a review project that looks at sectors aligned with aged care and fall under the Direct Client Care grouping, which includes home and community care, allied health assistance, disability, leisure and health, mental health and more general community services and management. A series of consultation forums have been rolling out across the country, with forums still to be held in Hobart and Perth. Visit CS&HISC's website for details and to register. Mark Burford, Executive Director, Mitchell Institute for Health and Education Policy, Victoria University. NCVER is thrilled to announce Fiona Lawrie, an Australian Apprenticeships Ambassador, apprentice mechanic and founder of the recently launched Fanelle, as guest speaker at the conference dinner on 10 July. Fanelle's mission is to ensure society and the trade industry adapt to social change by supporting, encouraging and empowering women in male-dominated trades. This is your opportunity to connect with leading researchers and professionals in the VET and higher education sectors. Co-hosted by NCVER and Holmesglen, the conference will be held at Hemisphere Conference Centre at Holmesglen’s Moorabbin campus. You can register online at NCVER’s Portal. VETnetwork Australia is excited to announce a brand new series of professional learning webinars. The series of webinars will focus on the ‘foundation skills’ and is designed for all VET practitioners, teacher trainers and facilitators who want to expand their knowledge and understanding of the foundations skills and their importance for vocational learners. Throughout the series participants will also have an opportunity to share their insights through interactive and engaging discussions. Session 1: Why do foundation skills matter to learners and employers? A look at what national and international statistics tell us about the skill needs of the working age population. Insights into the views of employers and the realities of workplace literacy. An introduction to national frameworks for measuring and comparing foundation skills levels. Steps to make sure that training programs match workplace skills needs. Unpacking training packages to identify real foundation skills requirements. Delivery approaches and teaching strategies for building foundation skills. Accessing resources to support the delivery and assessment of foundation skills. VETnetwork Australia’s online professional learning opportunities provide a flexible and inexpensive alternative to face to face workshops, with all electronic tools and presentations sent to participants post session, enabling you to revisit the content at any time. Please see the webinar flyer for further information, cost and registration details, or email Keri Torney. You are reminded that the Department of Education will be hosting the 2014 HELP Provider Forum on Monday 11 and Tuesday 12 August 2014. The theme of this year’s forum is Quality and deregulation – better, faster, stronger. The HELP Provider Forum is an opportunity for the department to update the sector on Government priorities as well as providing a networking opportunity for HELP providers to connect with each other. Registration for the Forum is now open. Please note that registration for the Forum has been extended until COB Friday 25 July 2014. For a registration link and up-to-date information please visit the department’s website. If you haven’t already registered for the ACPET 2014 national conference and APIEF in Western Australia, you still have the opportunity to register at the early bird rate! This year, the national conference theme is Connecting up – the power of possibilities. It will feature a range of impressive speakers, exhibitors and colleagues from both global and domestic tertiary education markets. Delegates have the opportunity to experience Perth as well as Fremantle. Come along and be challenged by thought provoking presentations in iconic and historical locations such as the WACA and Fremantle's first convict building. Walk away with new networks and ideas on how you may connect up and heighten your institution's competitive positioning… it's all about the possibilities! For further information on APIEF and the national conference, including registration details, please visit ACPET's website. Registration is open for Velg Training’s 2014 national VET conference, which will be delivered over two days, providing attendees the opportunity to engage in a wide variety of plenary and elective sessions from 11–12 September 2014 at the Brisbane Convention and Exhibition Centre. The theme for this year’s event is Impossible is Possible Together and will focus on bringing VET professionals together to discuss recent updates to the sector and best practices for RTOs, acting as a platform for networking and collaboration. The conference will feature three distinct streams: Policy and Reform, RTO Management and Compliance, and Training and Assessing. By popular demand, the Master Class elective stream will be returning in 2014, and Velg has introduced a dedicated Industry Skills Councils (ISCs) engagement stream. This will allow delegates to connect with ISCs and learn more about current and future projects, as well as training packages updates. Attendees of the 2014 national VET conference will be divided into two client groups - RTO management and RTO trainers and assessors. More information about the conference, including the programme, is available on Velg Training’s national conference website. The 2013 national VET conference attracted over 950 attendees, making it the largest annual gathering of VET practitioners from across Australia. Online registration for the 2014 national VET conference is now open for delegates. Three key themes will run throughout the conference’s programme - sustainability for VET practitioners, skills for VET learners and strategy for the VET sector. 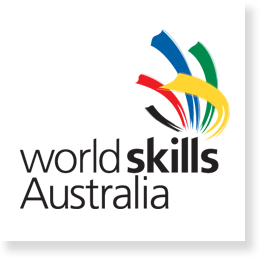 2014 WorldSkills Australia National Competition - register now! The nation’s largest and most prestigious trade and skill competition is almost here. This year, the 2014 WorldSkills Australia National Competition will be held at the Perth Convention and Exhibition Centre from 18 to 20 September. This unique event will showcase 500 of Australia’s best trainees, apprentices and students from 30 regions across the country competing for gold medal success and the prestigious title of ‘Nation’s Best’ in 50 trade and skill areas. The National Competition will also feature WorldSkills Australia’s interactive Try’aSkill program where visitors can try their hand at various skill and trade areas. Online registrations for the 2014 WorldSkills Australia National Competition are now open. The 2014 Government Skills Australia (GSA) national conference is being held at the newly completed Adelaide Oval and is now open for registrations. The conference will bring together the government and community safety sectors to explore the future of skills and workforce development. The conference will be delivered through interactive discussion, workshops and plenary sessions. Online registrations are now open! 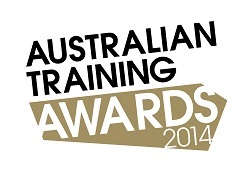 Australian Training Awards – save the date! Details of the venue and ticketing will be available on the website from 14 July 2014. If you would like to provide feedback or supply an article for inclusion in the next edition, or join our list of subscribers, please email skillsatwork@industry.gov.au. The next edition will be published in August 2014. Submissions are due by 18 July 2014.